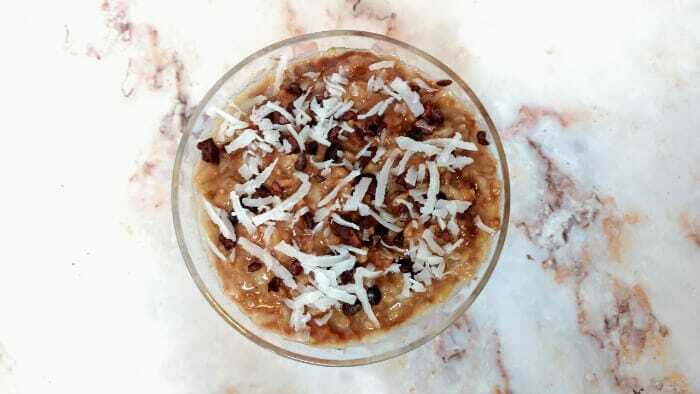 This Chocolate Date Dessert Oatmeal proudly serves double duty: as a healthy breakfast AND an awesome sugar-free dessert. Seriously, how often does that happen? Dessert for breakfast! This sweet treat is full of healthy carbs and fats while also being free of added sugars and gluten. It’s also dairy-free if you use a dairy-free milk as the oatmeal cooking liquid. 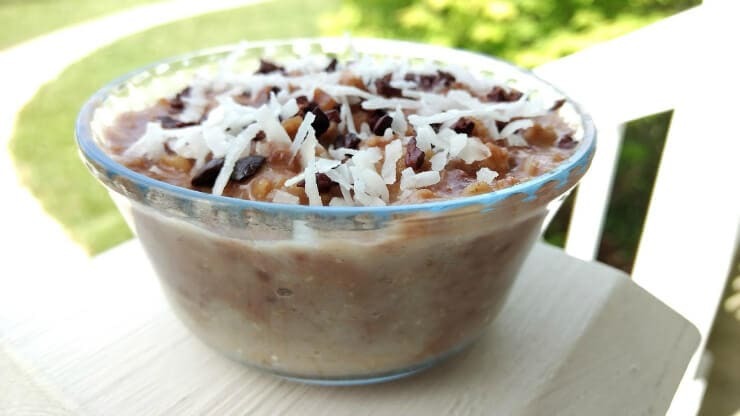 Combine the oats, cooking liquid, and vanilla extract and cook according to the directions on the oatmeal container. After the oats are cooked, stir in the vanilla extract and stevia (if desired). Next, stir or swirl in the Sinless Chocolate Fudge Frosting-Pudding. Chill mixture for at least two hours. Garnish with cacao nibs and shredded coconut.